Your favorite restaurant menu, now in the palm of your hands! 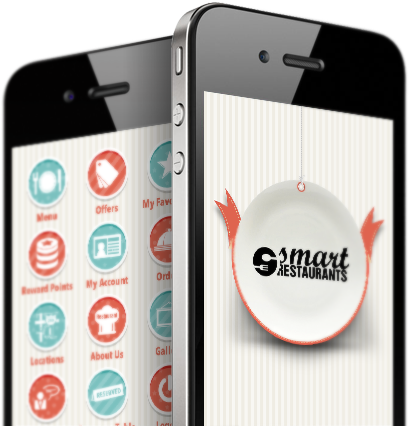 With the SmartRestaurantApp, you can now view the menu of your favorite restaurant, complete with pictures and description of each dish. On your smartphone, at the touch of a finger! Now order take aways' or home delivery. All at the touch of a finger! You can ask for a take-away while paying at the restaurant, or you can order for your favorite food sitting at home. Pay cash on delivery! The app makes it oh-so-simple! Another cool feature of the app? 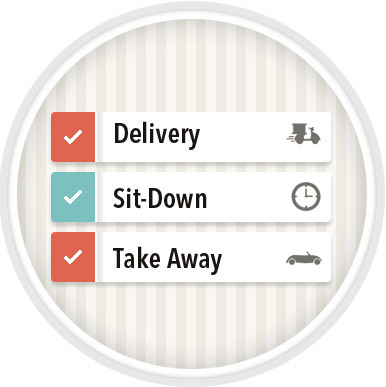 Order food while waiting for your turn at the restaurant! Saves your time in manifold ways! 'Like' your food or 'Dislike' it. Give your favorite restaurant your valuable feedback! You can now give your restaurant instant feedback after tasting the food there! Will go a long way in telling your restaurant what you feel about it! Your 'hot' dishes! Favorites stored for the future! You can now create a favorite List with the items of your choice so that when you visit your restaurant the next time you do not have to waste time thinking of what you had liked the last time! Save on precious time! Refer to other 'likes' See what other customers have liked. And order the same! Maximum likes for a dish- now you can order it too! Rate your restaurant. Wow it with your testimonial! You can now record your candid testimonial directly into the app. Let the app do some earning for you! Every time you engage with your restaurant, earn yourself some Loyalty Points! Take a peek at what you will get with your points! Can't locate your restaurant? The app will help you find it! All details about restaurant in the palm of your hand! 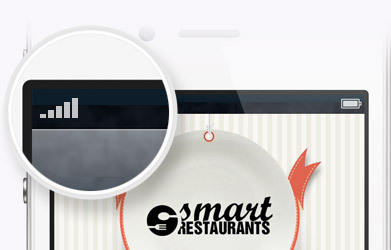 The direction feature in the app will help you locate your restaurant. Opening and closing hours. Address, phone numbers. Email. Check it all out from the app! Never miss out on the great offers! 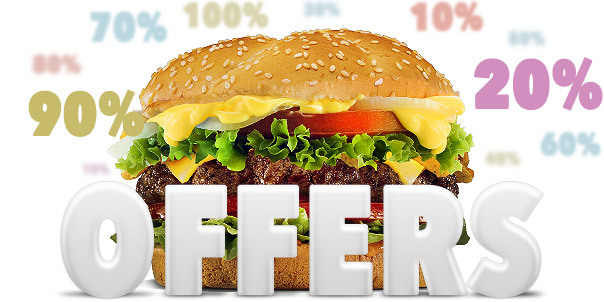 Your restaurant will keep you posted with every new offer or promotion! View past orders now! At the touch of a button! You can view previous orders put in by you easily. Address for home delivery gets embedded! And some more precious time saved! 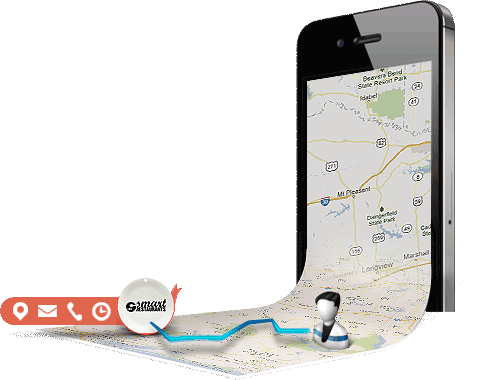 The app will store addresses of all previous orders so as to save time while reordering for home delivery. Love your restaurant? Now take a walkthrough! 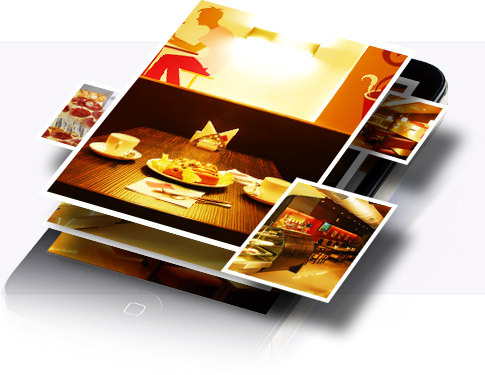 You can view pictures of your restaurant from the photo gallery! Make that important table reservation! With the touch of a finger! 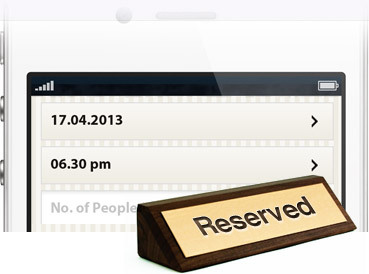 Hassle-free, prompt reservations for a table at your favorite restaurant! Do it easily through the app!